Sgt. 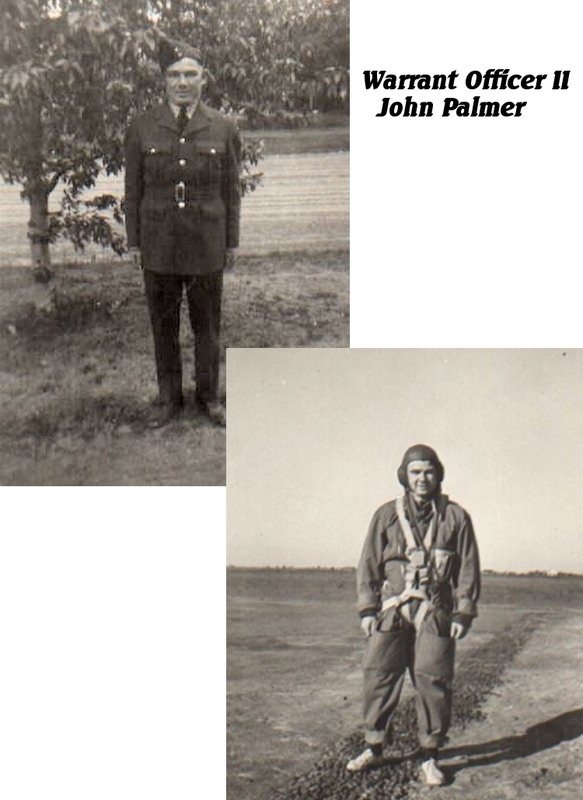 John Palmer and his crew arrived at 419 Squadron on February 6th. 1943. Those who made entries into the Operations Record Book during this period appear to be show a great disregard for the equality of the airmen who arrived in the squadron. The names of the officers who reported for duty are clearly mentioned, while the NCO pilots such as Sgt. Palmer are listed as "one complete crew". This trend can be found in a great many pages of the ORB. The day earlier the new Squadron Medical Officer F/O J.D. Palmer had also arrived. It should be mentioned at this point that another pilot by the name of Sgt. 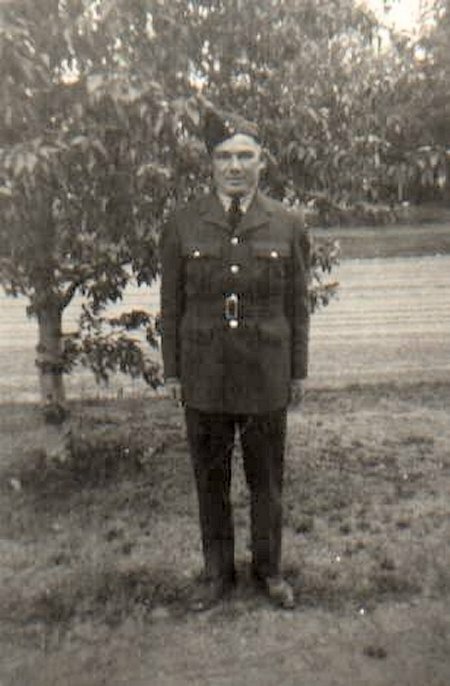 Palmer would begin service with 419 in September of 1943, Sgt. Freeman Palmer. Palmer completed his 2nd. Pilot sorties in a day and half. First flying on the night of 13/14 of February , then completing his second the evening of the 14th. His second sortie proved to be more exciting of the two. 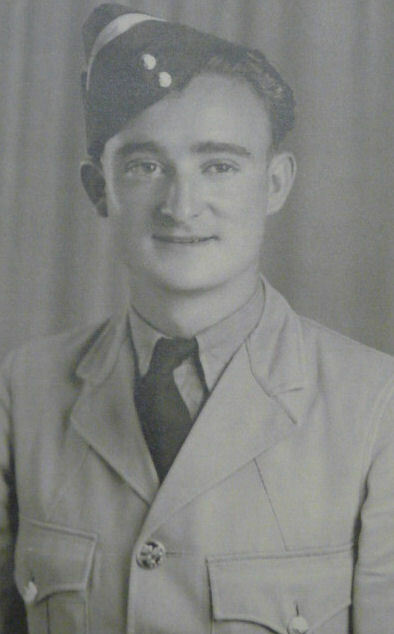 The Halifax's Captain was F/O Charles Porter and the target was Cologne. The defenses over the city were very heavy with flak. Flying through the flak on the bomb run the Halifax was hit by fragments of shrapnel, punching holes in the windscreen and hitting the rear gun turret. The flak may have caused a 1,000 pounder to hang up on the racks, it eventually was dislodged and they carried on. Sgt. Palmer as 2nd. Pilot noticed a group of fifteen aircraft in a formation below them. They appeared to be enemy night fighters waiting their turn at the bombers. A few minutes later Porter's aircraft was being attacked by a fighter thought to have been one of the group spotted moments earlier. The fighter was shook off by the evasive manoeuvres and Palmer and the crew returned to base. For Palmer it was a night to gain a lot experience and also what to expect while flying his own operations. By February 16th Palmer and his own crew began their operational sorties with the squadron. For fourteen operational starts he and his crew flew three quarters of their sorties over Germany. They flew in operations over some of the most defended cities in that country. The night of May 12/13th found them on their third operation over Duisberg. It would be on this operation that a night fighter would bring down their aircraft. At 0247 near Zuidland on Putter just 4km SW of Spijkenisse the aircraft came down. They were one of two crews lost that night, the crew of WO Glen McMillan being brought down as well, with the loss of WO McMillan.